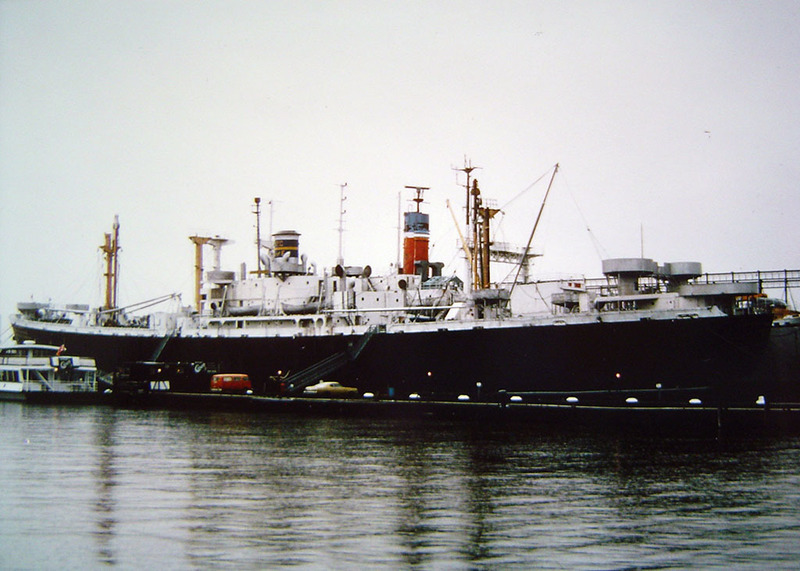 During World War II, the SS John W. Brown belonged to a fleet of 2,700 Liberty Ships transporting war materiel and allied troops across dangerous waters. Today, the ship is one of just two Liberty Ships still sailing and serves as a unique memorial museum ship based out of Baltimore. Liberty Ships were born in 1941 out of a an urgent need for cargo ships that could be built quickly during the war. Originally designed by the British, the U.S Maritime Commission modified the design to meet U.S shipbuilding standards, accommodate the shortage of ship-building supplies, and build as quickly and cheaply as possible. What was the result? A fleet of ships commonly known as “emergency ships” or “ugly ducklings” because of their basic appearance. Their name changed, however, when President Franklin D. Roosevelt told the nation that the fleet of ships would bring liberty to Europe. 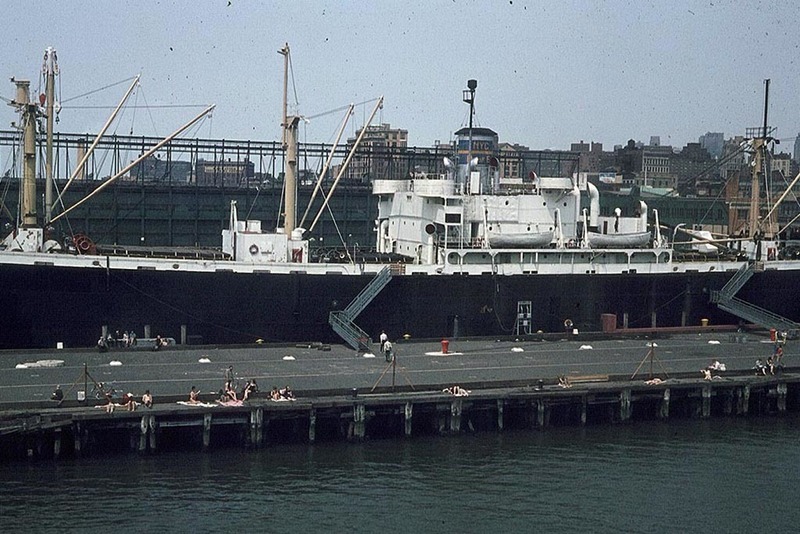 From then on, everyone called them Liberty Ships. On September 7, 1942, Labor Day, the SS John W. Brown launched at the Bethlehem-Fairfield Shipyard. 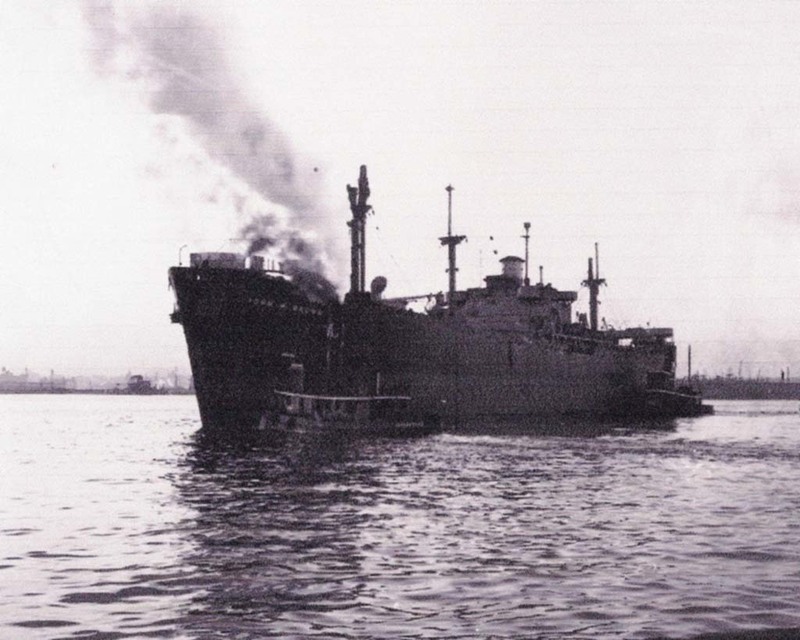 The Brown was one of six Liberty ships launched that day—each named after a different labor leader. The Brown is named after John W. Brown, a labor leader and union organizer from Maine who had died in an accident in 1941. Despite over 200 ships being lost to enemy combat, fire, collision, or other disasters, the ability of American shipyards could build Liberty Ships cheaply and at a large scale made it possible for supplies to continue reaching the allied forces fighting in Europe and the Pacific. Between the beginning and end of the Emergency Shipbuilding Plan, an average of 52 Liberty Ships were constructed per month at ports all over the United States. SS John W. Brown made thirteen voyages over the course of four years in support of the Allied war effort. She pulled into ports in Iran, Central America, Tunisia, the Caribbean, and Brazil. In 1944, she directly participated in Operation Dragoon, the invasion of Southern France. Her cargo included U.S. troops going to and from Europe, prisoners of war, and a variety of raw materials, such as bauxite (an aluminum ore). 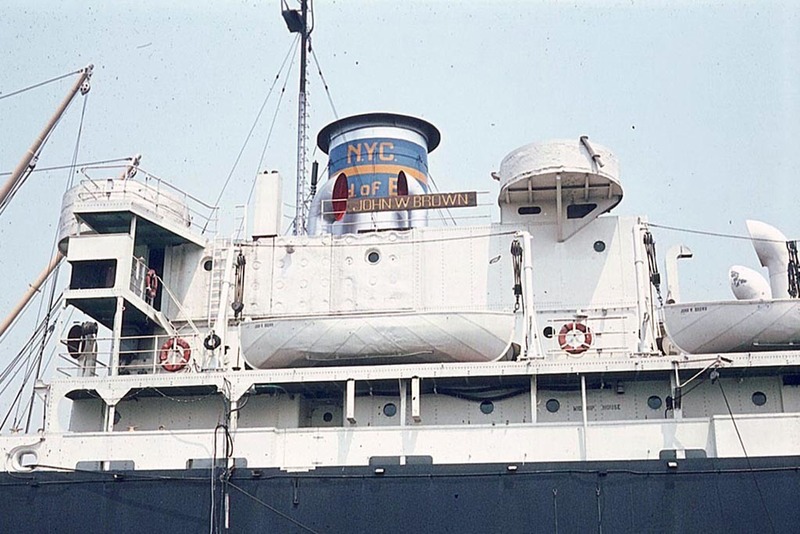 In 1946, the government loaned the Brown to the City of New York, where she became a floating maritime high school, the only one in the United States. For 36 years, thousands of students received training that prepared them to begin careers in the Merchant Marine. Students learned about maintenance and cargo handling in the Deck Department; how to operate the steam plant and auxiliary machinery in the engine department; and how to cook for their classmates and keep the galley stocked and clean in the Stewards Department. Students and instructors lovingly cared for the ship up until the school closed in 1982. The careful maintenance eased the way for a group of volunteers, who formed Project Liberty Ship in 1988, to restore the SS John W. Brown to sailing condition. 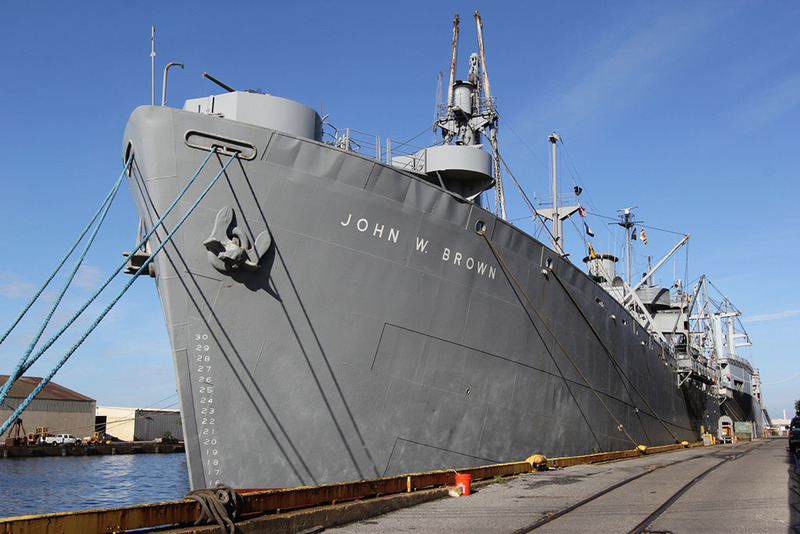 The SS John W. Brown returned to her home in Baltimore and was rededicated as a memorial museum ship. She honors the memory of the shipyard workers, merchant seamen, and Naval Armed Guard who built, sailed, and defended the Liberty fleet. 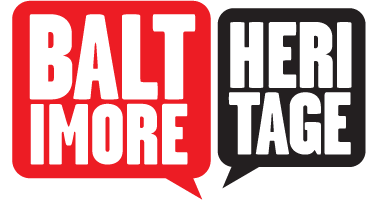 Though usually docked in Canton, she shifts to the Inner Harbor and Canton occasionally. She also makes several Living History Cruises per year. Philip R. Byrd, “S.S. John W. Brown,” Explore Baltimore Heritage, accessed April 19, 2019, https://explore.baltimoreheritage.org/items/show/558.